DECENT.bet, the blockchain based casino platform designed to provide a whole suite of fair and transparent gaming solutions, has announced the inclusion of Mark Lipparelli as its Outside Gaming Advisor. With the inclusion of Mark the platform not only gains more popularity among the gambling community but also gets the much-required expertise needed to navigate the convoluted regulatory environment that is online gaming. It is worth noting that Mark Lipparelli previously served as the Chairman of the Nevada Gaming Control Board. Before the high-profile appointment, he has been a long-standing technologist who has worked on casino management solutions, slot machine development, and online gaming. In a recent interview, Mark has stated his contribution as an Outside Advisor for DECENT.bet will revolve around ensuring that the revolutionary technology toes the line when it comes to all of the relevant regulatory and compliance requirements. Importantly, Mark’s extensive experience has allowed him to witness the changing times first-hand as brick and mortar casinos moved online. These learnings will allow the platform to leverage on his expertise to not only anticipate any regulatory challenges the company might face across global markets but to also provide expert advice in terms of growth and business development strategies. The growing technology adoption has led to the creation of a unified online gambling ecosystem where games that were once available only in brick and mortar casinos are now available across multiple platforms, be it web, desktop, mobile phones etc. However, one thing that has remained constant throughout is the lack of trust and transparency in the providers. The implementation of blockchain based solutions like that of DECENT.bet is soon going to change that. DECENT.bet is a blockchain based transparent profit sharing sportsbook and gambling platform that is built using the Ethereum network. All transactions on the platform are handled using native DBET tokens. 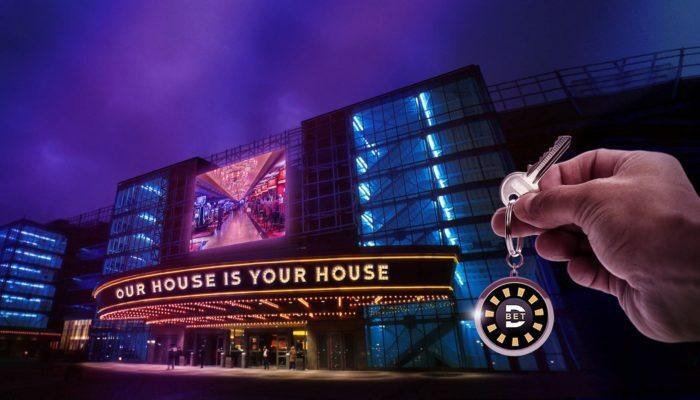 Importantly, these tokens are also used to purchase DBET House Credits which are used as a quarterly vesting initiative that allows House Credit holders to receive 100% of all profits generated on the DECENT.bet platform. As DECENT.bet continues to develop its offerings and expand globally, the involvement of Mark will allow it to ensure regulatory compliance across various geographies as well as further enhance the propensity for mass adoption. Watch DECENT.bet introduce Mark Lipparelli in the following video.